Has a commercial ever brought you to tears? Has a movie ever inspired you so much you change your way of life? Has the series finale of a television show ever broken your heart? Has a video game ever altered your perception of reality? If you're like most consumers, you answered 'yes' to at least one of those questions. Whether you remember it or not, the music of that ad, film, show or game probably played a big role in influencing your emotional response during that experience. In fact, music is included in media specifically for the purpose of connecting with audiences on a deeper level that visuals alone cannot access. A strong music strategy is fundamental to the success of television, film, brands and video games. Because of higher expectations for audiovisual content, it will take more than clever animation or a celebrity cameo to connect with consumers in an authentic, organic way. By providing audiences with a genuine music experience, whether with an exclusive song through an artist partnership or by featuring new music from an emerging band, you can build a bond that extends far beyond product experience. Music touches us emotionally in a way that words seldom do. We feel it – we remember it.In Return of The Hustle, a leading music and marketing industry insider discusses the diverse audio touchpoints for four key industries and shows how marketers, storytellers, and advertisers can use music to effectively guide audiences along the customer journey from passive consumers to brand advocates. Return of The Hustle provides readers with a blueprint for music strategy that professionals at any level in any industry can use to attract consumers, immerse them into the content, and extend relationships between them and the brand long after the commercial ends or the credits roll. With detailed case studies, exhaustive interviews, and thorough research, Return of the Hustle gives readers the playbook to use the marketing power of music to drive business results. 9781137582003 | Palgrave Macmillan, March 14, 2016, cover price $40.00 | About this edition: Has a commercial ever brought you to tears? 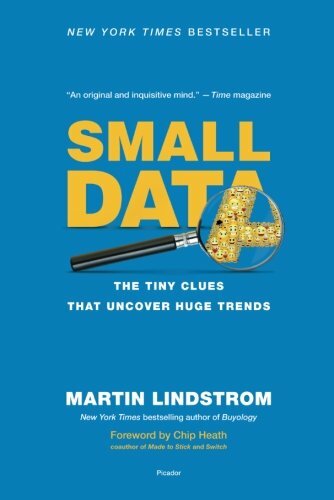 9781250080684 | St Martins Pr, February 23, 2016, cover price $25.99 | About this edition: Martin Lindstrom, a modern-day Sherlock Holmes, harnesses the power of âsmall dataâ in his quest to discover the next big thingHired by the world's leading brands to find out what makes their customers tick, Martin Lindstrom spends 300 nights a year in strangersâ homes, carefully observing every detail in order to uncover their hidden desires, and, ultimately, the clues to a multi-million dollar product. 9781250118011 | Reprint edition (Picador USA, February 14, 2017), cover price $16.00 | About this edition: Hired by the worldâs leading brands to find out what makes their customers tick, Martin Lindstrom spends three hundred nights a year overseas, closely observing people in their homes. 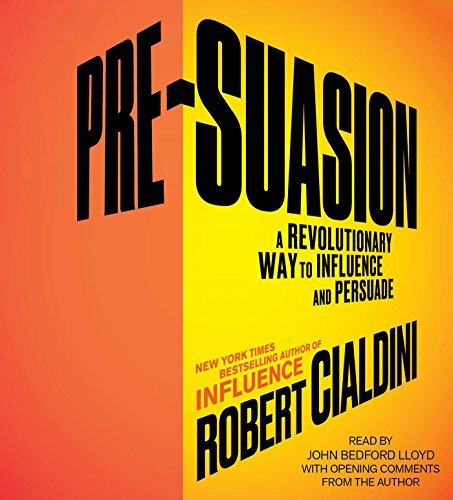 9781522635185 | Mp3 una edition (Audible Studios on Brilliance audio, March 15, 2016), cover price $9.99 | About this edition: Named one of the "Most Important Books of 2016" by Inc.
9781633692077 | Harvard Business School Pr, December 6, 2016, cover price $30.00 | About this edition: Pork dorks. 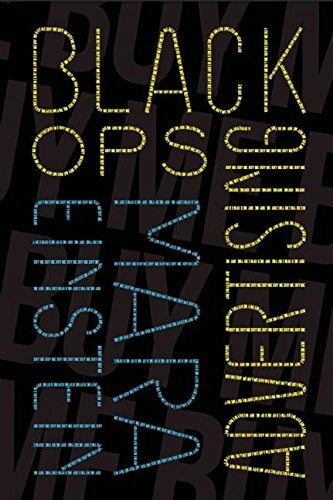 9780062415691 | Harperbusiness, November 29, 2016, cover price $29.99 | About this edition: In this pioneering guide, two business authorities introduce the new discipline of Service Design and reveal why trying new strategies for pleasing customers isn’t enough to differentiate your business—it needs to be designed for service from the ground up. 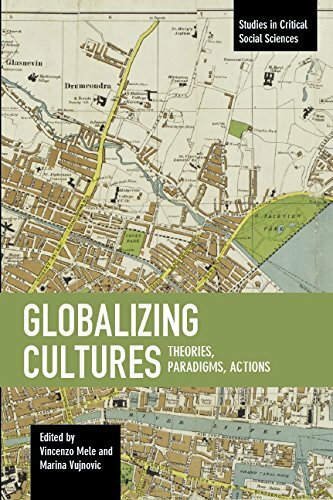 9789004272828 | Brill Academic Pub, November 13, 2015, cover price $175.00 | About this edition: With the crisis of the global capitalist economy the topic of global culture is regaining its importance and needs to be revisited from both theoretical and practical standpoints. 9781608467112 | Reprint edition (Haymarket Books, November 15, 2016), cover price $28.00 | About this edition: With the crisis of the global capitalist economy the topic of global culture is regaining its importance and needs to be revisited from both theoretical and practical standpoints. 9781944869007 | Or Books Llc, September 13, 2016, cover price $17.95 | About this edition: From Facebook to Talking Points Memo to the New York Times, often what looks like fact-based journalism is not. 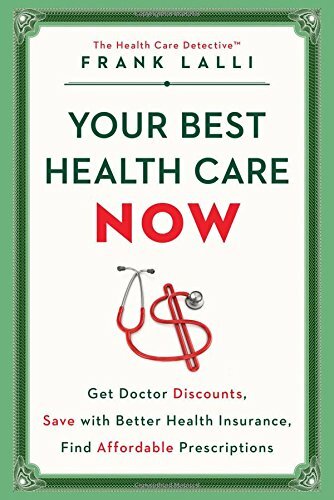 9781501132865 | Touchstone Books, September 20, 2016, cover price $19.99 | About this edition: Inspired by his viral New York Times article, prize-winning investigative journalist Frank Lalli details how he mastered the ins and outs of health care—and how you, too, can get the best care for your money. 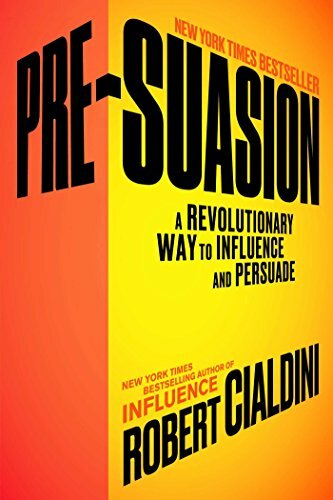 9781508223191 | Unabridged edition (Simon & Schuster, September 6, 2016), cover price $29.99 | About this edition: The author of the legendary bestseller Influence, social psychologist Robert Cialdini shines a light on effective persuasion and reveals that the secret doesn’t lie in the message itself, but in the key moment before that message is delivered. 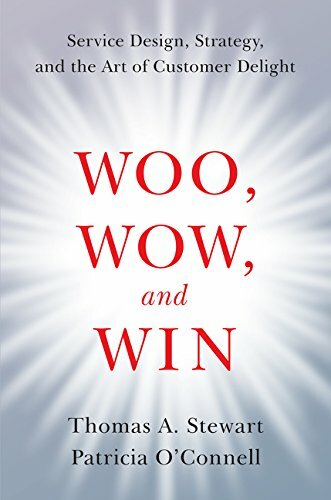 9781501109799 | Simon & Schuster, September 6, 2016, cover price $28.00 | About this edition: *NEW YORK TIMES and WALL STREET JOURNAL BESTSELLER *Financial Times Best Business Books of 2016 *Inc.
9781522507468 | Business Science Reference, August 31, 2016, cover price $230.00 | About this edition: Consumer behavior is becoming increasingly complex in the current global market. 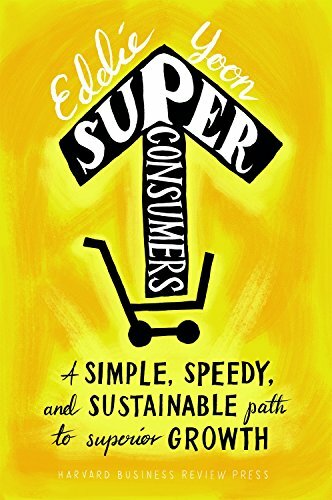 9780749477547 | Kogan Page Ltd, August 28, 2016, cover price $49.95 | About this edition: The current focus in many Fortune 500 companies is on consumer insights, where strategists develop deep consumer insight â or empathyâas a basis for flexible strategy formation. Ever since Adam Smith, the central teaching of economics has been that free markets provide us with material well-being, as if by an invisible hand. In Phishing for Phools, Nobel Prize–winning economists George Akerlof and Robert Shiller deliver a fundamental challenge to this insight, arguing that markets harm as well as help us. 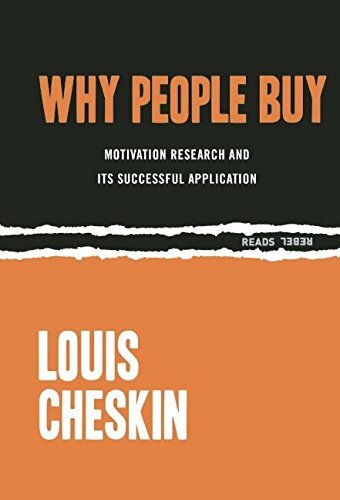 As long as there is profit to be made, sellers will systematically exploit our psychological weaknesses and our ignorance through manipulation and deception. Rather than being essentially benign and always creating the greater good, markets are inherently filled with tricks and traps and will "phish" us as "phools. "Phishing for Phools therefore strikes a radically new direction in economics, based on the intuitive idea that markets both give and take away. Akerlof and Shiller bring this idea to life through dozens of stories that show how phishing affects everyone, in almost every walk of life. We spend our money up to the limit, and then worry about how to pay the next month's bills. The financial system soars, then crashes. We are attracted, more than we know, by advertising. Our political system is distorted by money. We pay too much for gym memberships, cars, houses, and credit cards. Drug companies ingeniously market pharmaceuticals that do us little good, and sometimes are downright dangerous.Phishing for Phools explores the central role of manipulation and deception in fascinating detail in each of these areas and many more. It thereby explains a paradox: why, at a time when we are better off than ever before in history, all too many of us are leading lives of quiet desperation. At the same time, the book tells stories of individuals who have stood against economic trickery―and how it can be reduced through greater knowledge, reform, and regulation. 9780691168319 | Princeton Univ Pr, September 22, 2015, cover price $24.95 | About this edition: Ever since Adam Smith, the central teaching of economics has been that free markets provide us with material well-being, as if by an invisible hand. 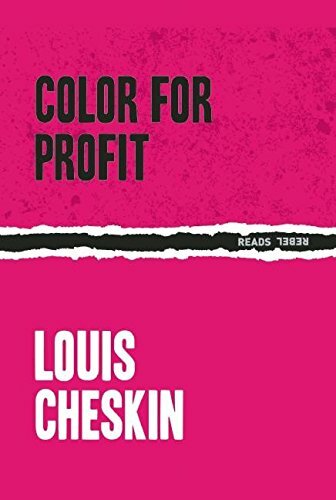 9781632460349 | Ig Pub, August 9, 2016, cover price $19.95 | About this edition: Published in 1951, Louis Cheskin's groundbreaking Color For Profit initiated a scientific approach to color and design. 9780415516495 | Routledge, September 20, 2013, cover price $160.00 | About this edition: It takes more than a baby to make a mother, and mothers make more than babies. 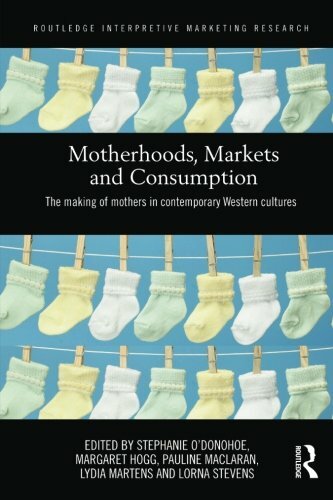 9781138206106 | Reprint edition (Routledge, August 7, 2016), cover price $54.95 | About this edition: It takes more than a baby to make a mother, and mothers make more than babies. 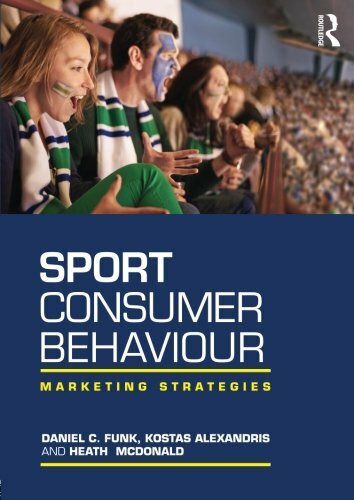 9781138912489 | Routledge, August 4, 2016, cover price $160.00 | About this edition: All successful marketing strategies in sport or events must take into account the complex behaviour of consumers. 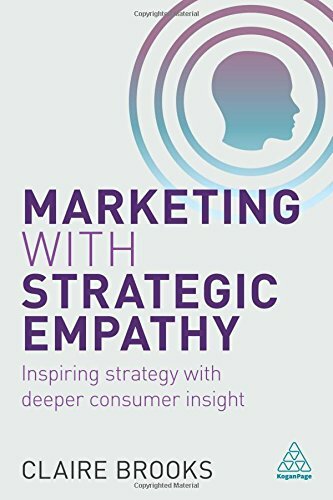 9781138912496 | Reprint edition (Routledge, August 4, 2016), cover price $59.95 | About this edition: All successful marketing strategies in sport or events must take into account the complex behaviour of consumers. 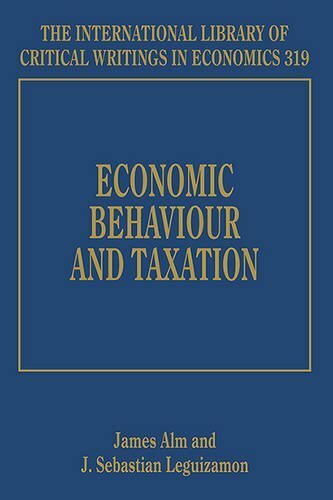 9781784712198 | Edward Elgar Pub, July 27, 2016, cover price $470.00 | About this edition: Over several decades there have been major changes to the way public economists investigate behavioral responses to taxation. 9781473608023 | Teach Yourself, August 30, 2016, cover price $9.99 | About this edition: Market Research just got easierEvery day in business we make decisions. 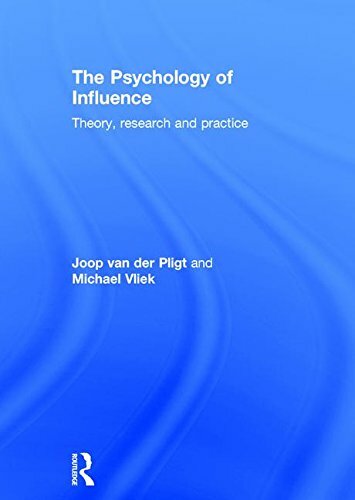 9781444159646 | Teach Yourself, October 31, 2012, cover price $8.99 | About this edition: The ability to research the market for a product or service is crucial for anyone who wants to advance their career. 9781632460325 | Ig Pub, July 12, 2016, cover price $19.95 | About this edition: There are several competing brands on the store shelf. 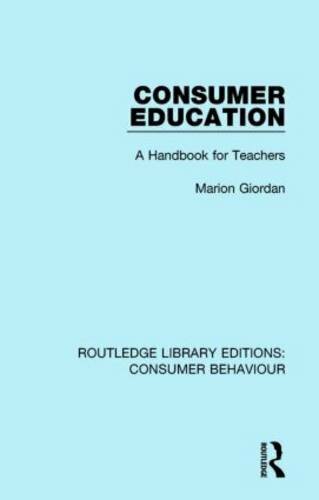 9781138839144 | Routledge, November 25, 2014, cover price $110.00 | About this edition: Education in consumer affairs has become increasingly important in recent years with the growth of consumer societies in many parts of the world. 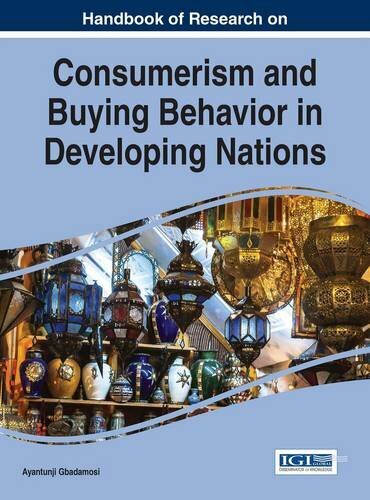 9781138839151 | Reprint edition (Routledge, July 7, 2016), cover price $45.00 | About this edition: Education in consumer affairs has become increasingly important in recent years with the growth of consumer societies in many parts of the world. 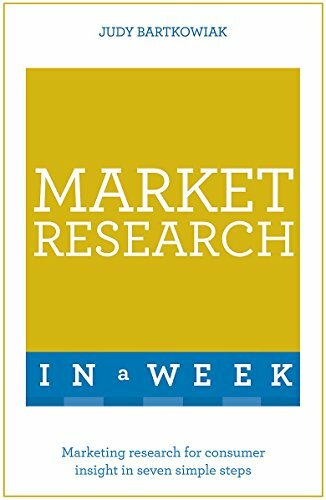 9781848935952 | Routledge, July 1, 2016, cover price $150.00 | About this edition: The increasing division and specialization of labor between the market and the nonmarket sector is a central stylized fact of long-run economic development. 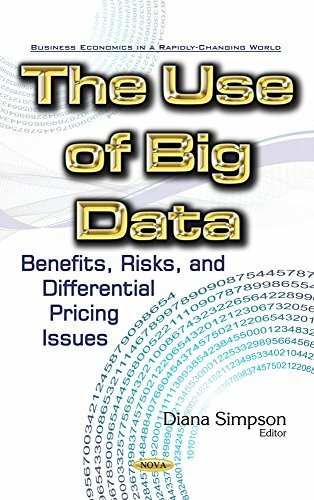 9781522502821 | Business Science Reference, June 30, 2016, cover price $235.00 | About this edition: Having a grasp on what appeals to consumers and how consumers are making purchasing decisions is essential to the success of any organization that thrives by offering a product or service. 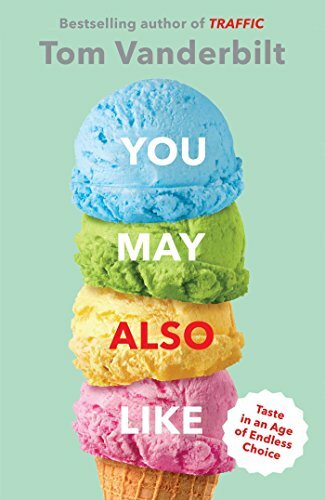 9781471100048 | Gardners Books, June 30, 2016, cover price $20.20 | About this edition: Everyone knows his or her favourite colour, the foods we most enjoy, and which season of The Sopranos deserves the most stars on Netflix. 9780307958242 | Alfred a Knopf Inc, May 10, 2016, cover price $26.95 | About this edition: Why do we get so embarrassed when a colleague wears the same shirt? 9780399567667 | Unabridged edition (Random House, May 10, 2016), cover price $40.00 | About this edition: Why do we get so embarrassed when a colleague wears the same shirt?